election, Dr. Tony Nwoye, to replace Governor Willie Obiano as governor. Report have it that Nwobodo alsomused the occasion to eulogise làte Nigeria’s former President, Dr. Nnamdi Azikiwe. Nwobo hinged his praises on Zik’s support for youths. In an open challenge to leaders of defunct Nigeria Peoples Party (NPP), Zik threw his weight in support of the candidacy of Nwobodo, a youth in the 1979 Anambra State governorship election. Nwobodo spoke in Onitsha on the role of the Owelle of Onitsha, the first Nigerian President of the Senate, first Nigerian Governor General and first President of Nigeria and Commander in Chief of the Armed Forces in the Second Republic. He narrated how he ascended the high office of first Executive Governor of Anambra State at the age of 39. 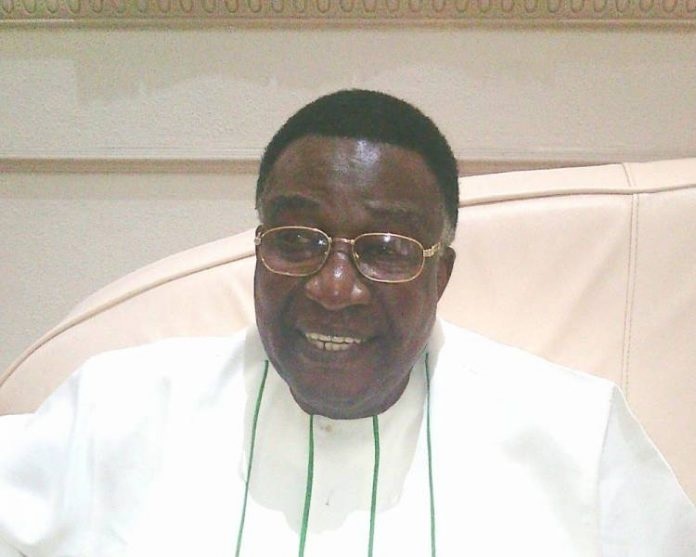 Nwobodo became Anambra State gubernatorial candidate of the Nigeria People’s Party (NPP). Recalling his endorsement, presentation to the people of Anambra State by the Owelle of Onitsha, the landslide victory of NPP in 1979 and how he provided the dividends of democracy to the people, Zik said a lot of people never gave him a chance. “I am here to do what Zik did in 1979”. Pushing for a generational change, Nwobodo called on the elders to make way for young leaders in the country. He thanked Chukwuma Paul; Madu Nonso I.; Moghalu George N.; Nwibe Bart; Nwike Patrick N.; Obidigbo Chike; Okonwko D.; Onunkwo Johnbosco O.; Uba Andy E.; Uchegbu Adoabi K. and Uzoh Obinna‎ for supporting the All Progressives Congress (APC) Anambra State flag-bearer, Dr. Tony Nwoye.